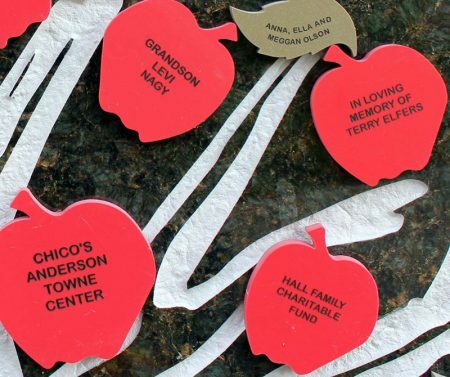 The Anderson Foundation for Parks and Recreation, the fundraising arm of the Anderson Park District, was first formed in 1991 to fund projects that the tax base and revenue generation could not accommodate. 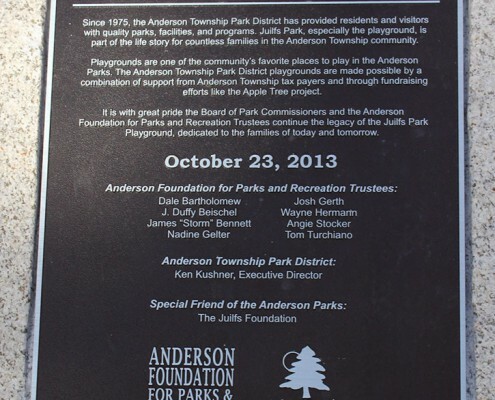 Its mission is to provide funding to perpetuate parks and recreation in Anderson Township. 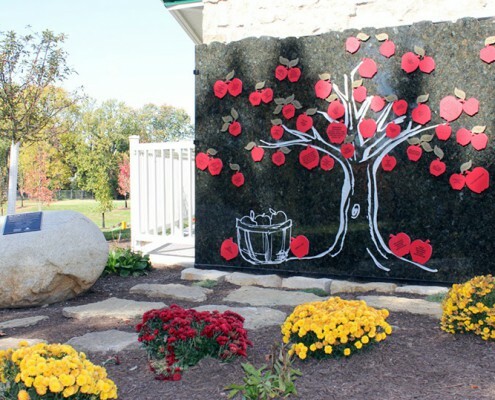 The Foundation has a long history of contributions to the park district, including the office addition and tennis courts at Juilfs Park, the Kellogg Park restroom building, and it also serves as the event coordinator for Greater Anderson Days. 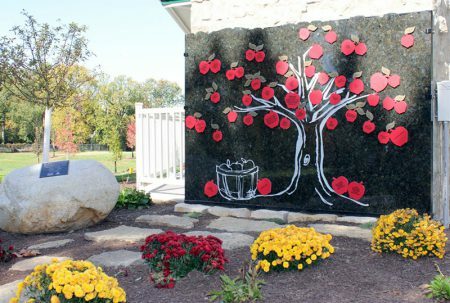 Event proceeds have helped fund playgrounds at Beech Acres Park, Laverty Park, and phases I and II of the renovated Juilfs Park. 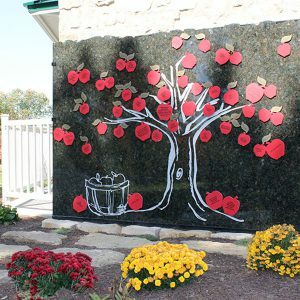 The park district is continually seeking ideas and volunteers to help with current and future projects. 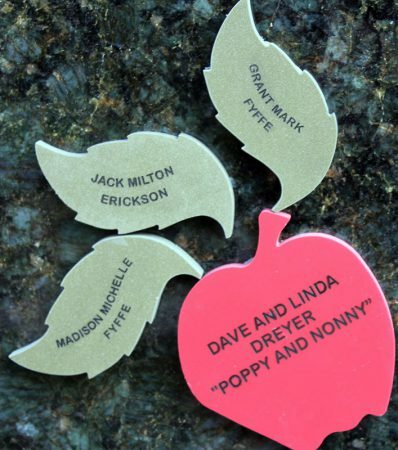 For more information, please contact the park office, (513) 474-0003. 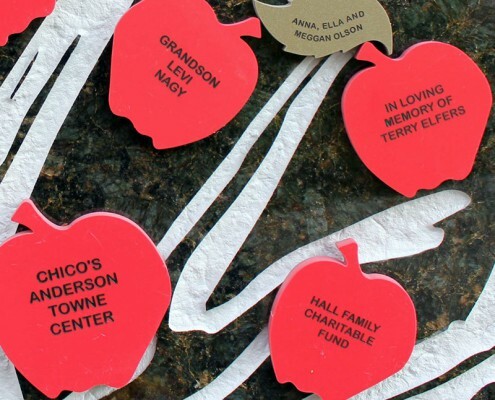 The Foundation serves as the event coordinator for Greater Anderson Days. 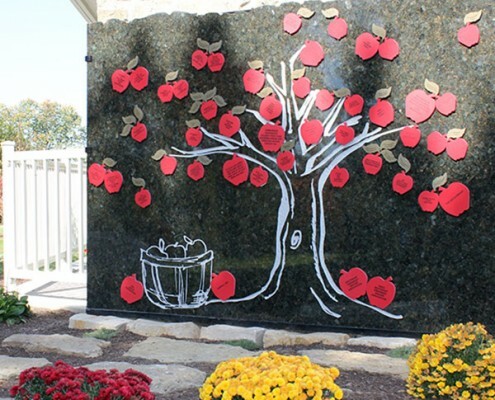 Event proceeds have benefited park district playgrounds since 1999, and helped fund playgrounds at Beech Acres Park, Laverty Park, and phases I and II of the renovated Juilfs Park. 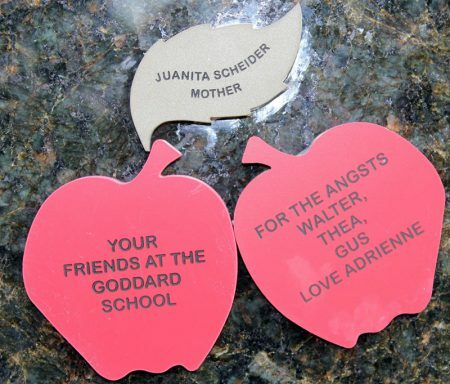 Honor someone special and support your community through the Playground Fund! 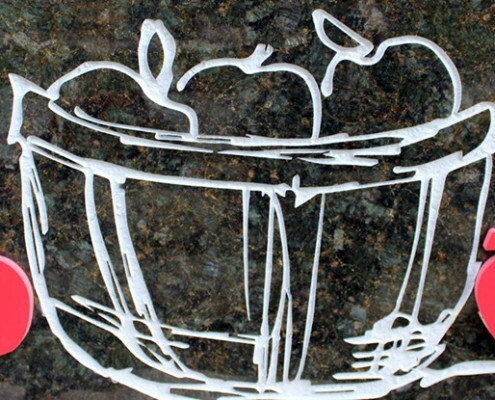 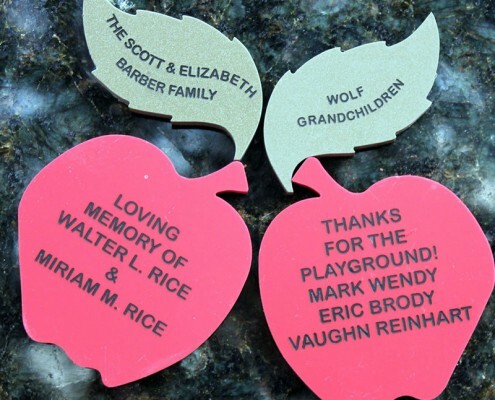 Leave a legacy for the “Apple of Your Eye” on the farm-themed playground. 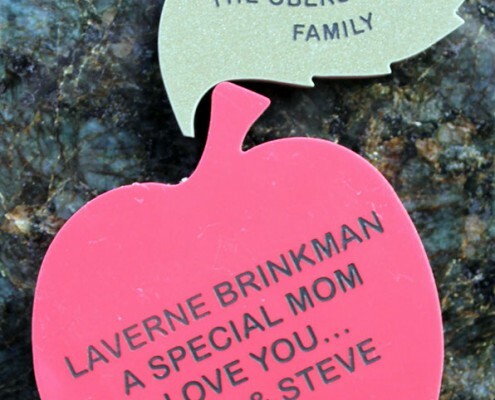 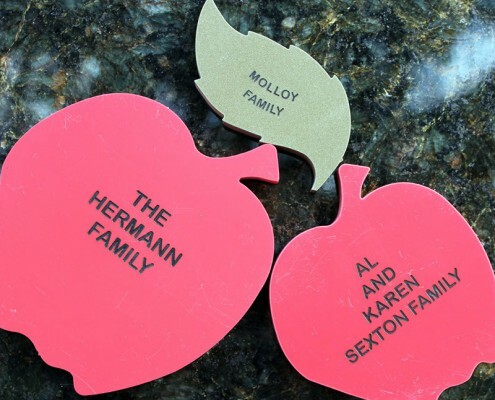 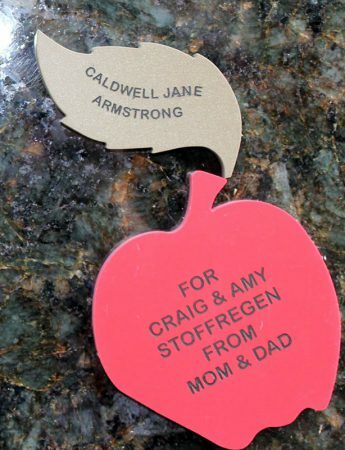 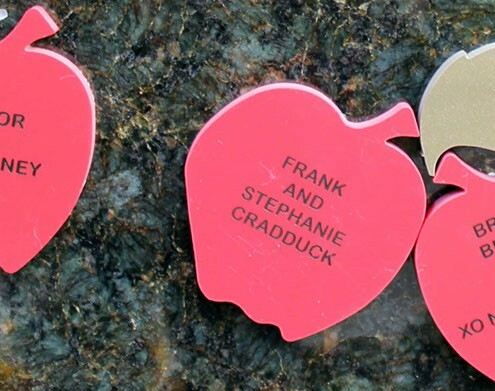 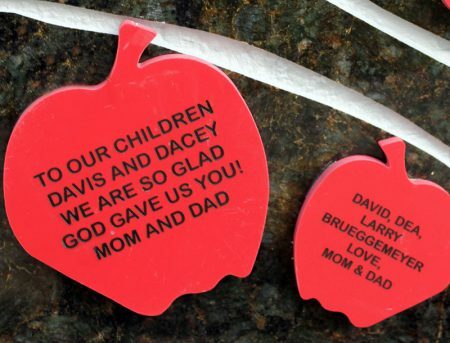 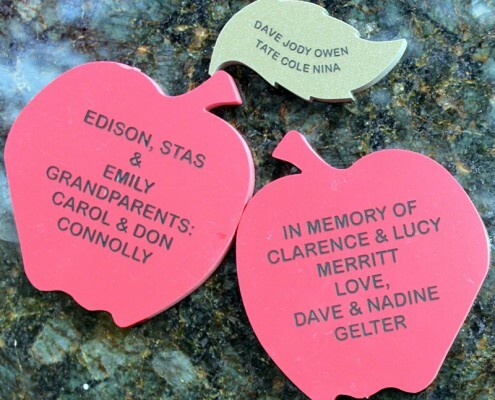 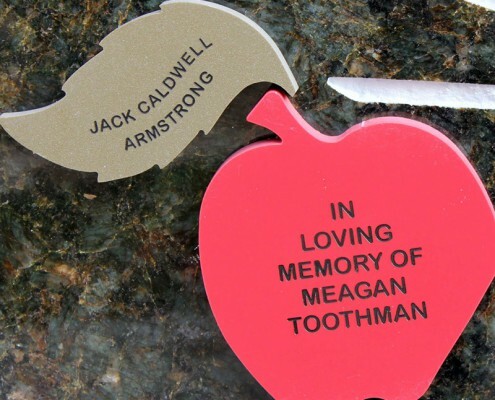 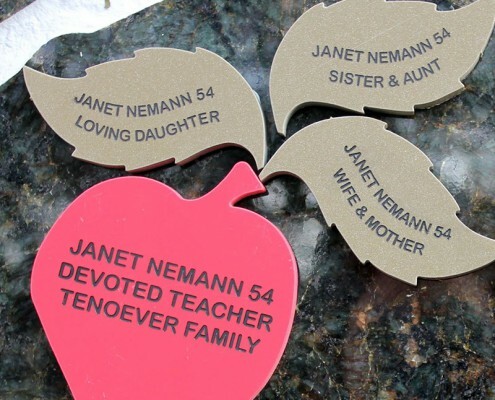 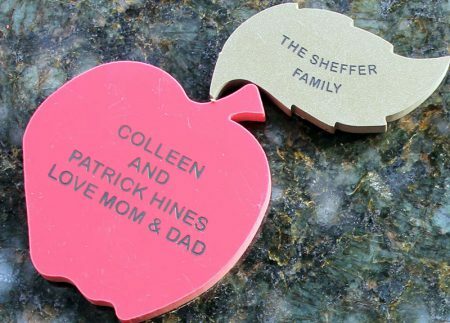 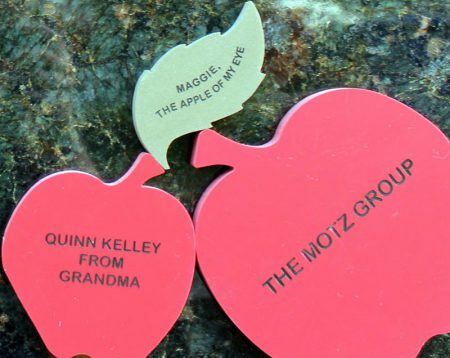 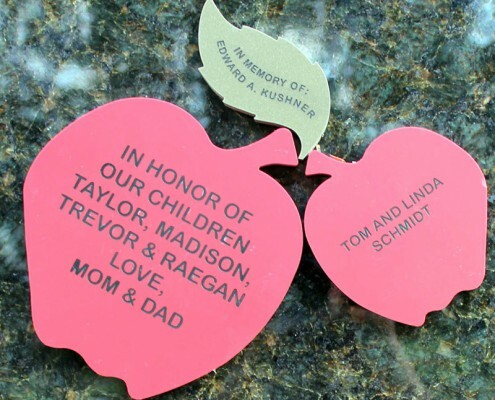 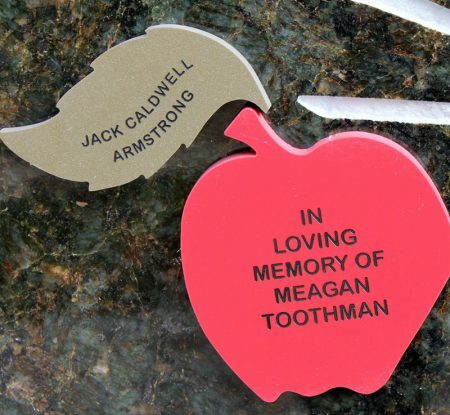 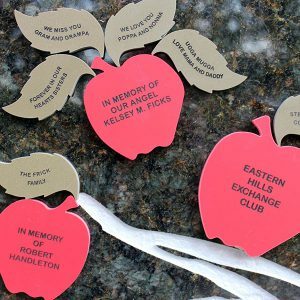 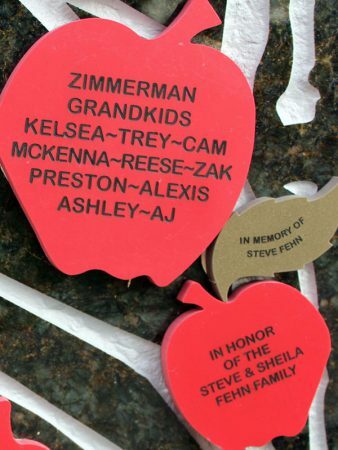 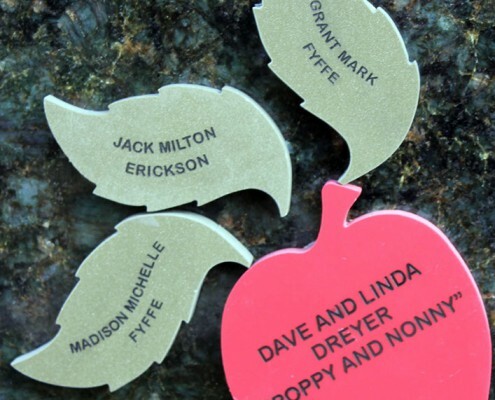 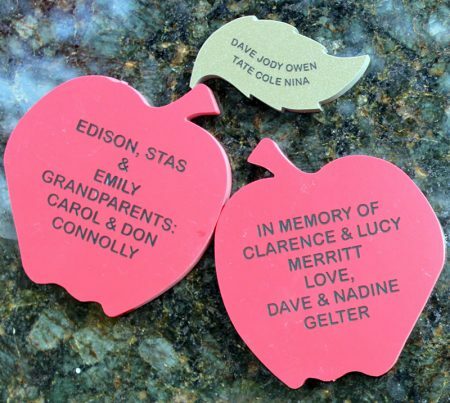 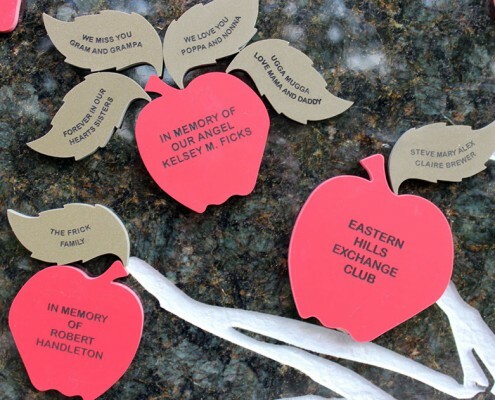 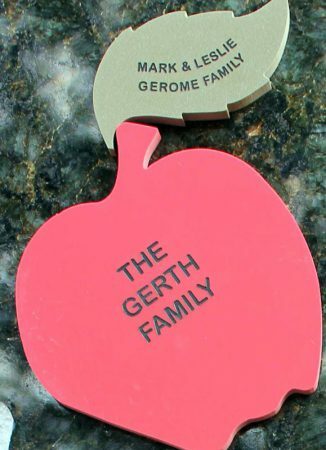 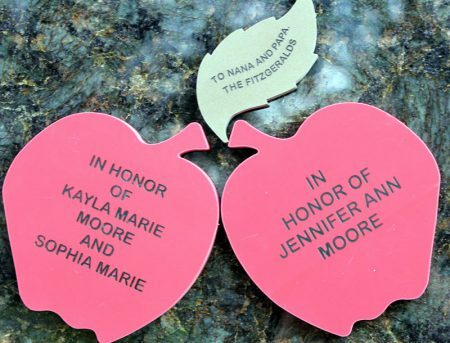 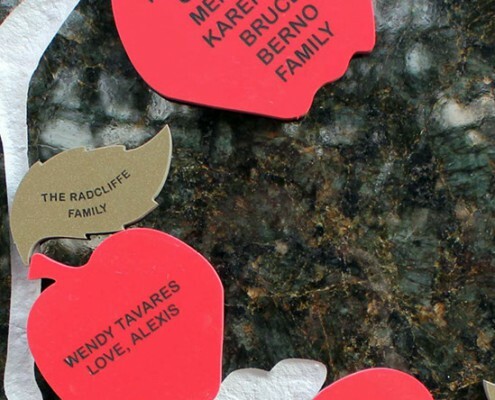 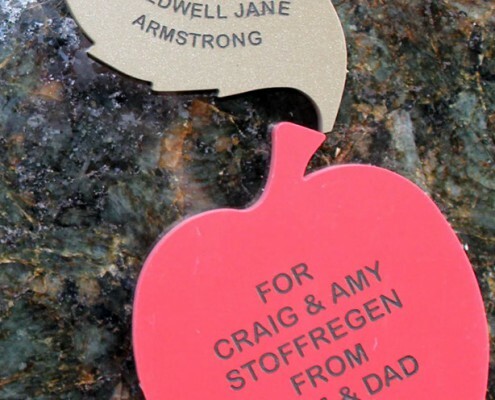 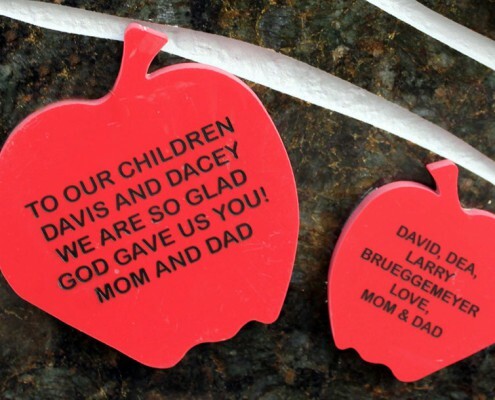 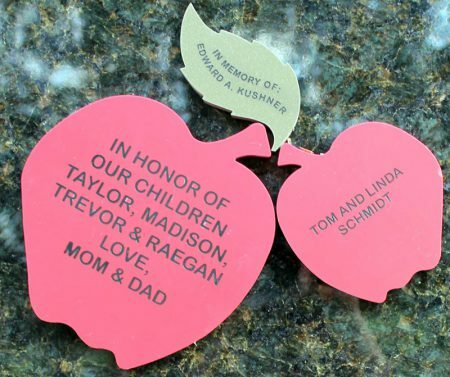 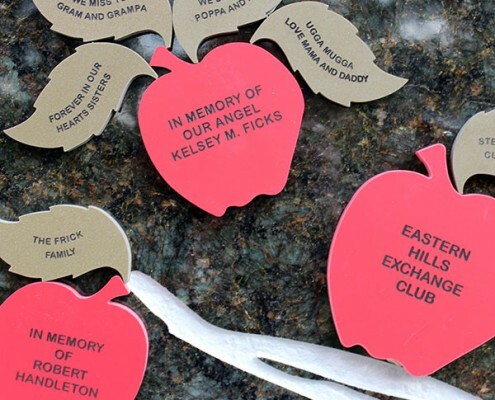 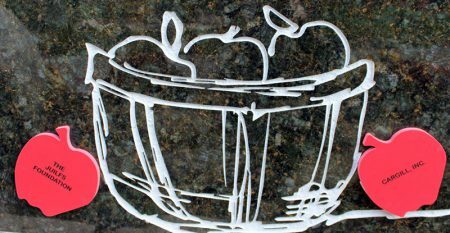 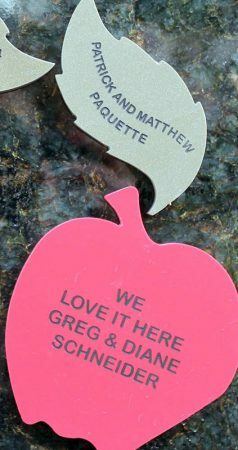 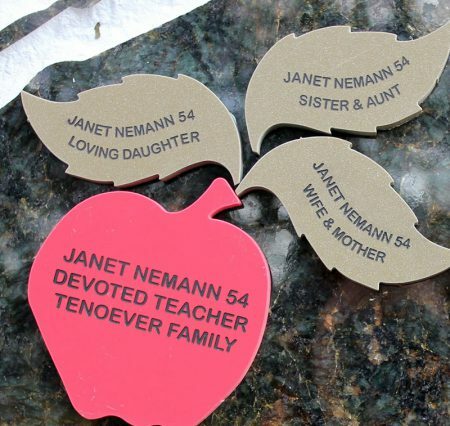 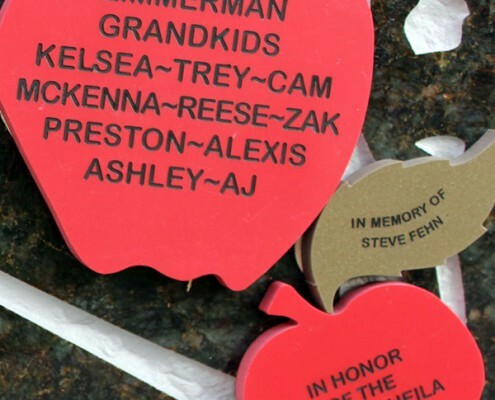 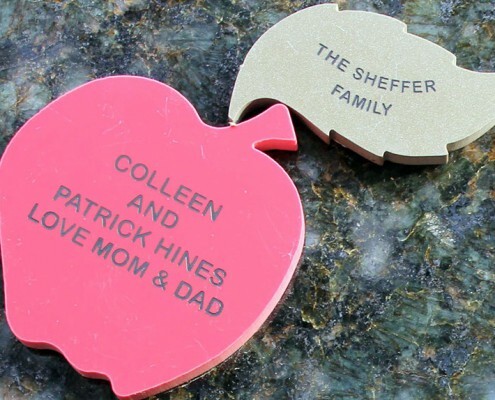 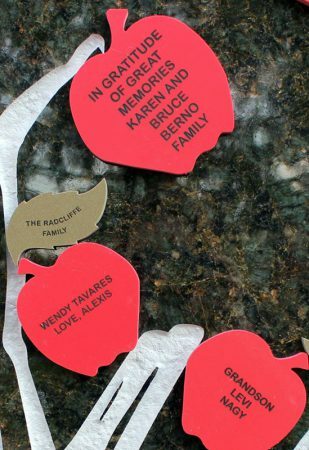 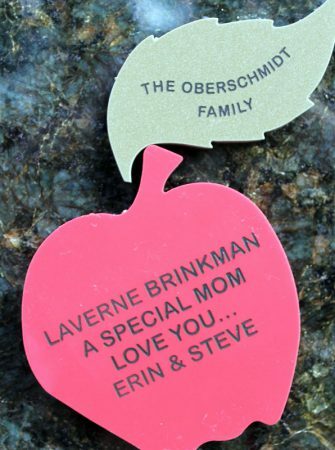 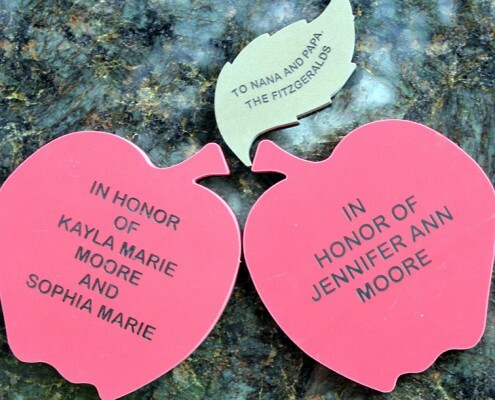 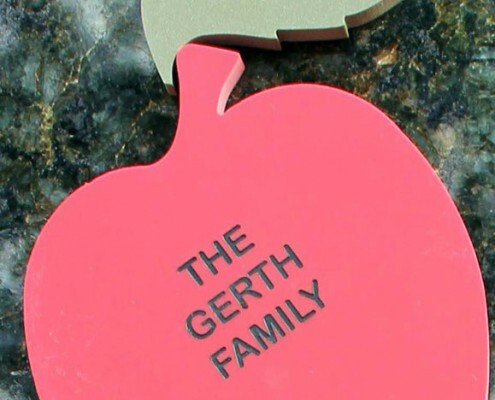 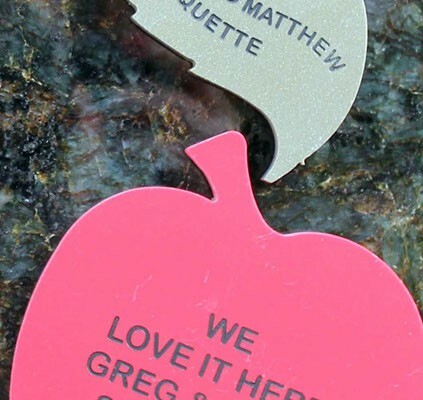 Donors of $100 or more will have their tribute featured in a lasting, meaningful, and creative way on the sponsor Apple Tree. 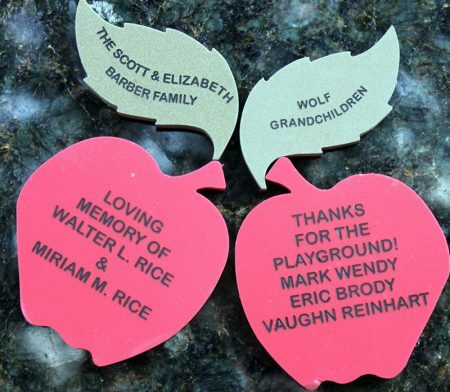 A portion of each donation will be used to purchase and install a tribute acknowledgement; proceeds from the balance of the donation go to the purchase of play equipment, surfaces, structures, and landscaping associated specifically with the 2012 Juilfs Park playground renovation. 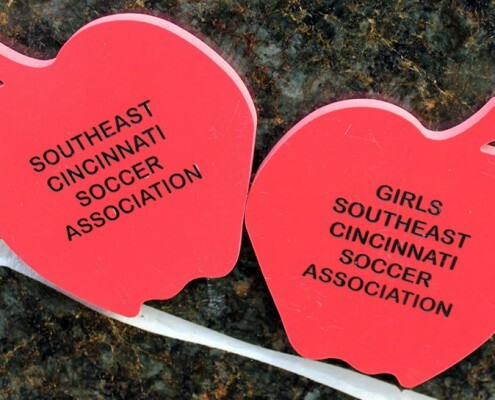 Sponsorships of any amount are welcomed. 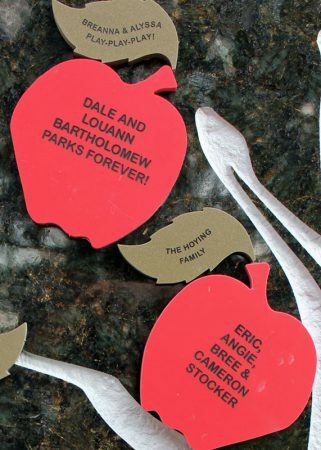 Park district staff welcomes the opportunity to discuss gift-giving options with you or your company! 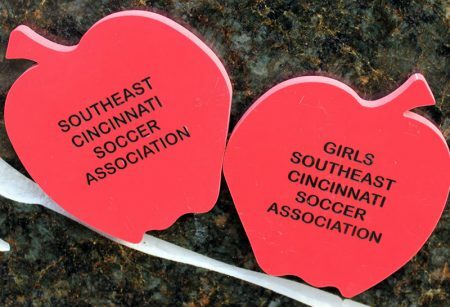 Contact Scott Lahman: (513) 388-5091.